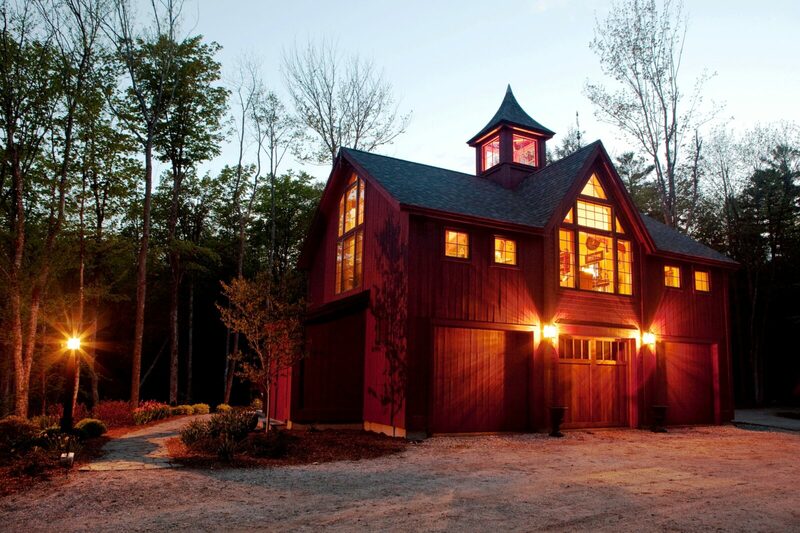 Last week I began a series on Yankee Barn Homes most popular barn house design, interpreted in three different ways. 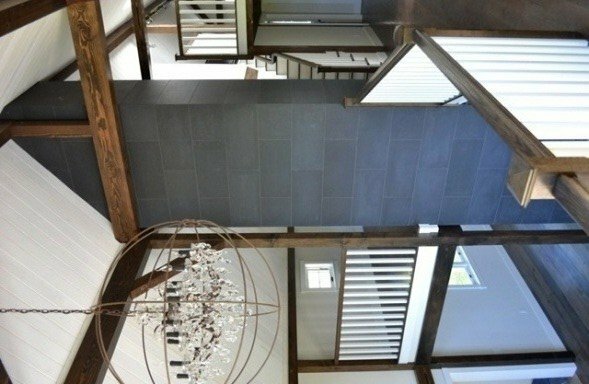 I presented the exteriors of these unique homes which use the same floor plan. Please see that article here. 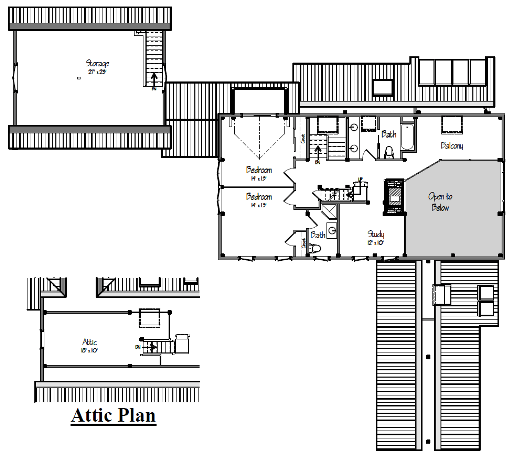 Today I’m going to focus on how the same floor plan was envision in the three barn homes; The Original (we call it The Gathering House), The Arts & Crafts Influenced version, and The Contemporary. 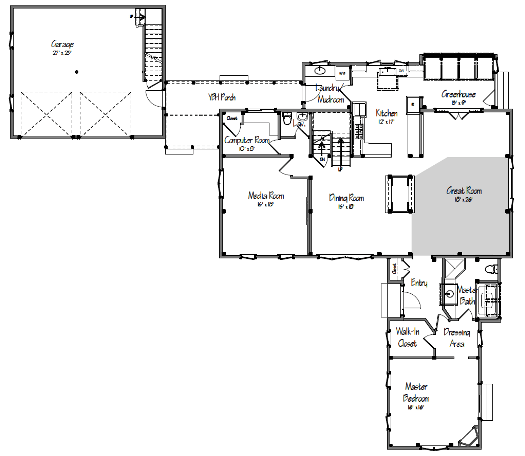 The great room of the original floor plan design, The Gathering House. 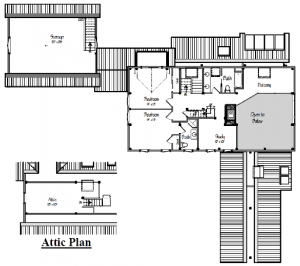 These floor plans are from the Yankee Barn Homes’ original design, The Gathering House. 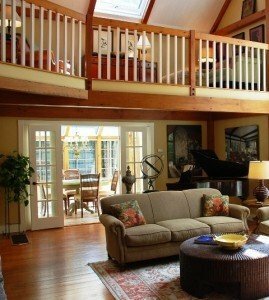 You’ll notice the layout of the great room, including it’s upper loft area and the breakfast nook off to the side, remain completely unchanged in all three interpretations of the great room. 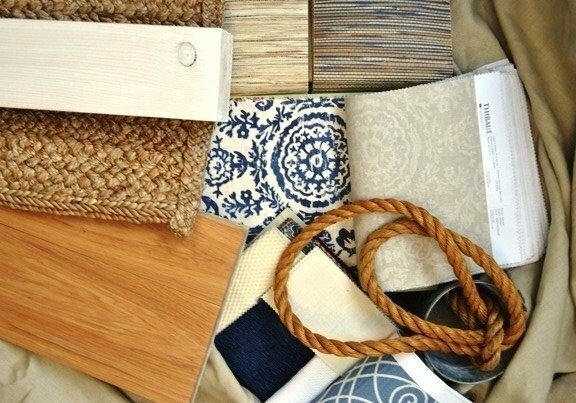 However, you’ll also notice, due to interior colors and decor chosen, there is no way you would ever confuse one home for the other. They are complete individual in the sense of home each conveys. 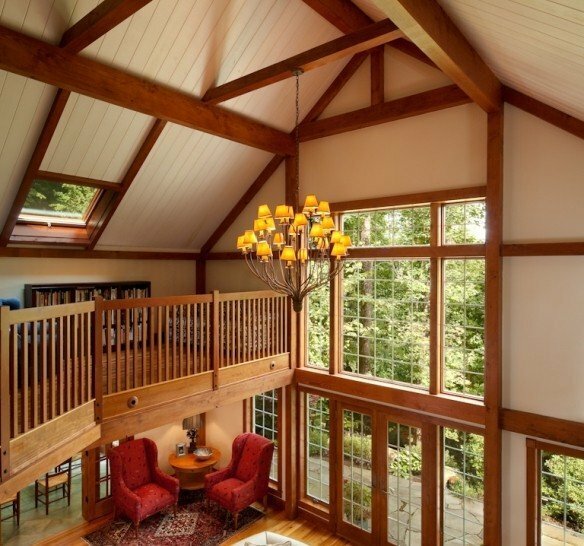 As established, I’ll refer to the three homes as The Original (Gathering House), The Arts & Crafts Influence and The Contemporary. 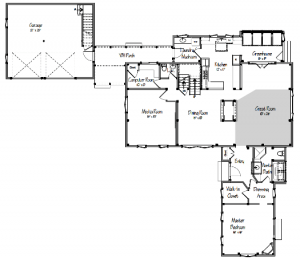 You’ll see both the great room and the upper loft (balcony on the floor plans) for each home. 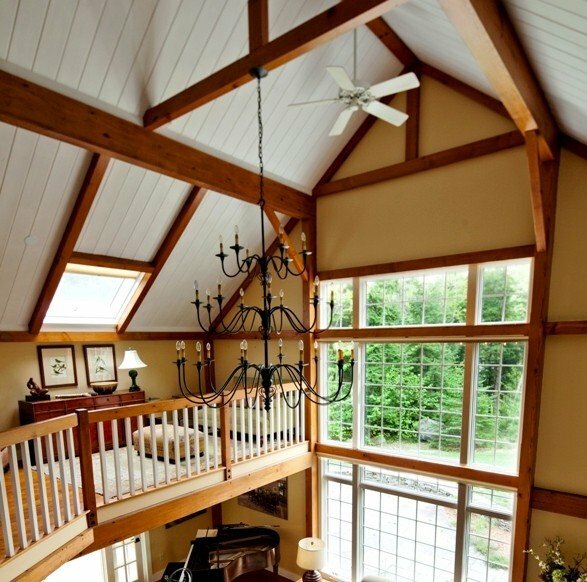 The Original great room; window view. 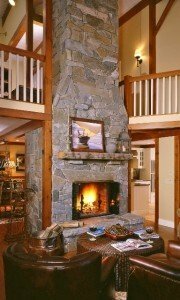 The Original (Gathering House) great room fireplace. The loft (balcony) area of the Original barn home. 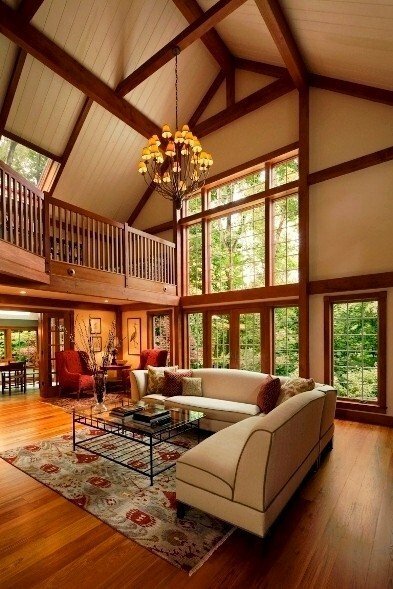 The Arts & Crafts Influenced great room. 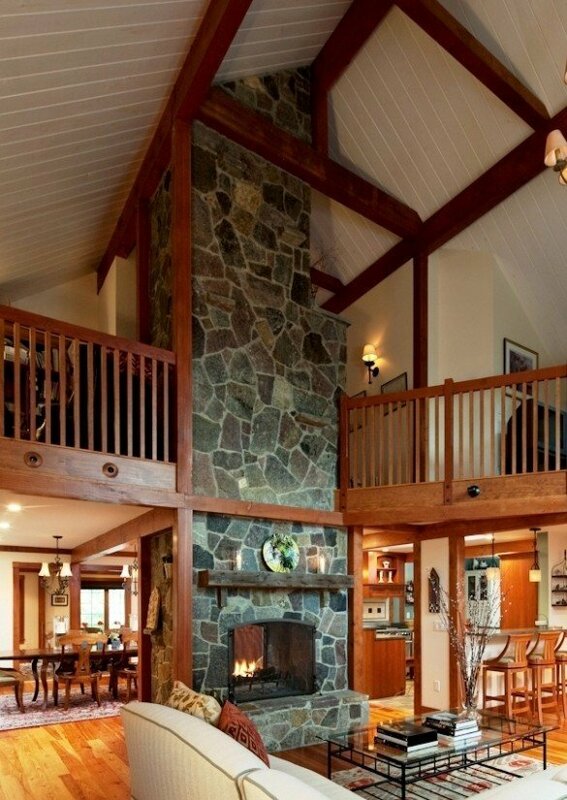 The same barn home’s great room fireplace. 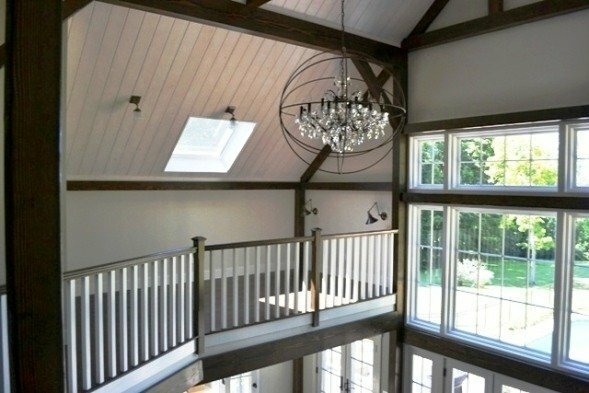 The loft are of the Arts & Crafts Influenced Yankee Barn. 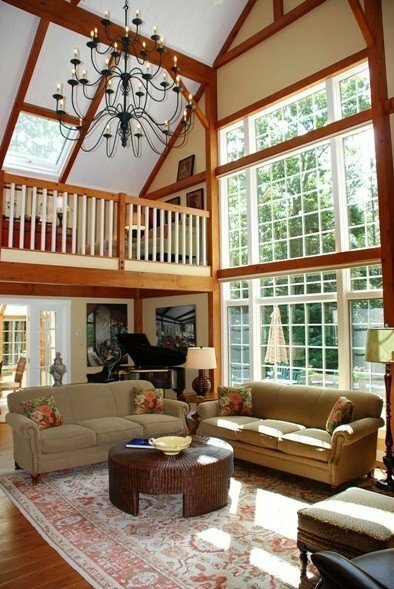 The great room of The Contemporary interpretation of this barn home floor plan. 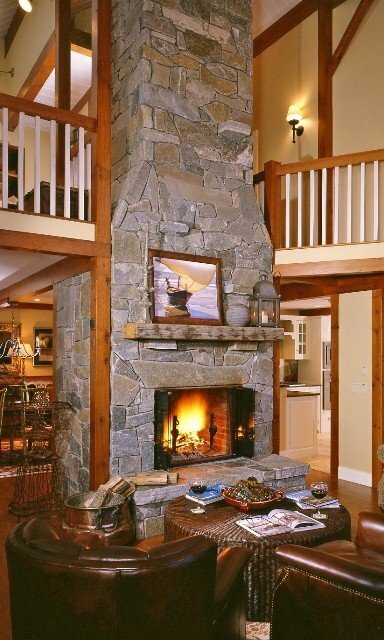 NOTE: this home is still being finished, therefore photos are not professionally staged and not necessarily from the same angle as the other two homes. 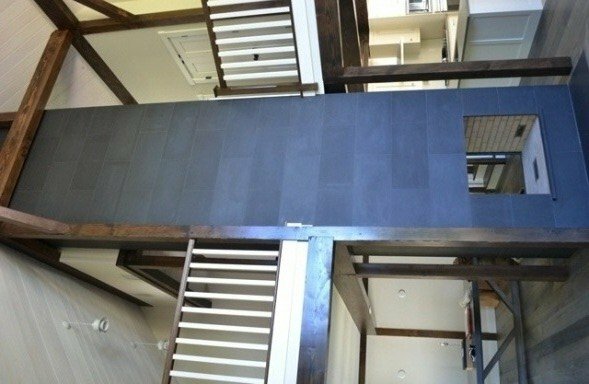 The Contemporary’s fireplace, as see from the loft area. The Contemporary’s loft area; the chandelier is from Restoration Hardware. 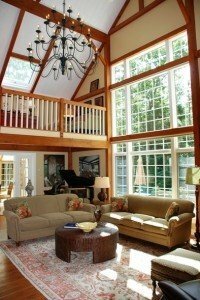 Please check back next week when I’ll take a look at the breakfast rooms of these three stunning barn homes!